Let's see some projects that feature images that have wings. . .birds, insects, fairies, etc. Just be creative! Before you submit, please check out our challenge guidelines. Confused. 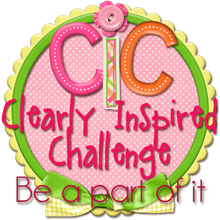 The challenge was posted Fri 8/3 but indicates deadline of Thurs Aug 2. Please correct/clarify. 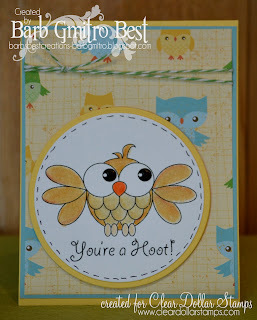 I love the little owls !! Love this latest digi from Lisa! Those owls are just so cute- great DT cards. Thanks for the challenge. Cute DT work! 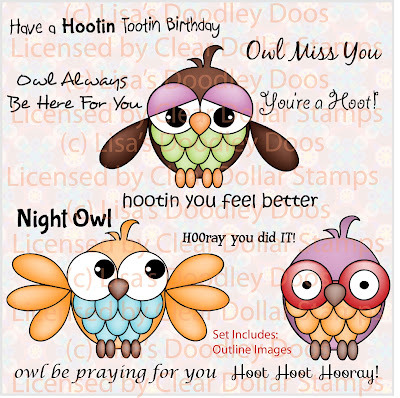 I love all the owls. What a great cards from the DT ..
added my entry for the current challenge.. Thank you for the fun challenge & awesome DT inspiration! 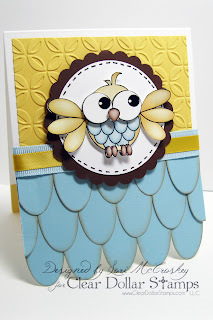 Great work, ladies; cute cards! 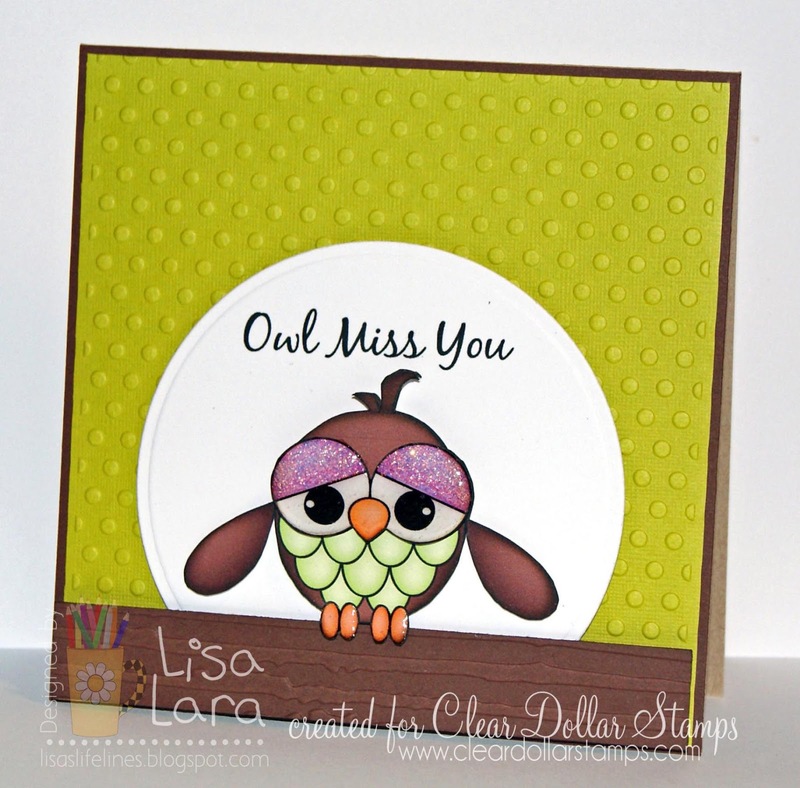 I love Lisa's owls! Gorgeous creations. Thanks for the fun challenge! 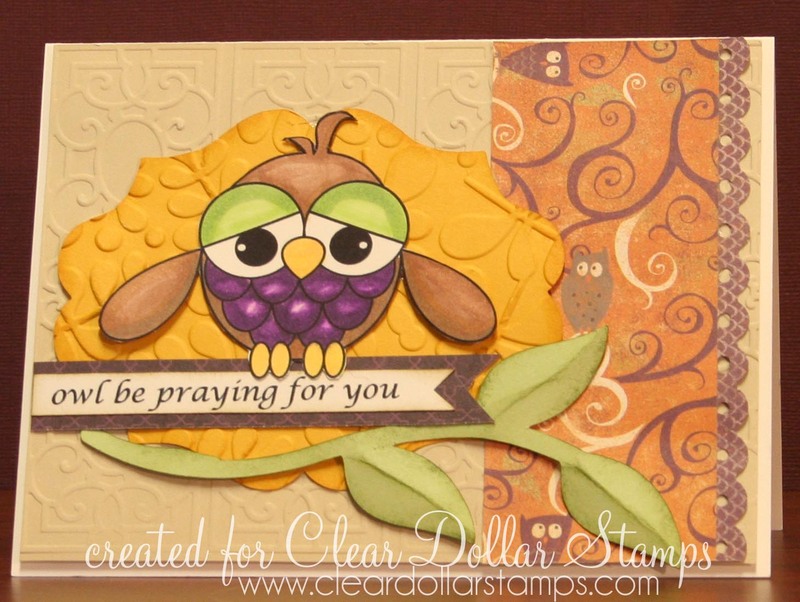 Super fun challenge with a DARLING prize. 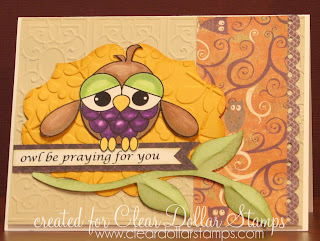 Clear Dollar Stamps is a wonderful company, and I'm blessed just to get to play along. Thanks for a super fun and inspiring blog with great tutorials and lots of great stuff going on! 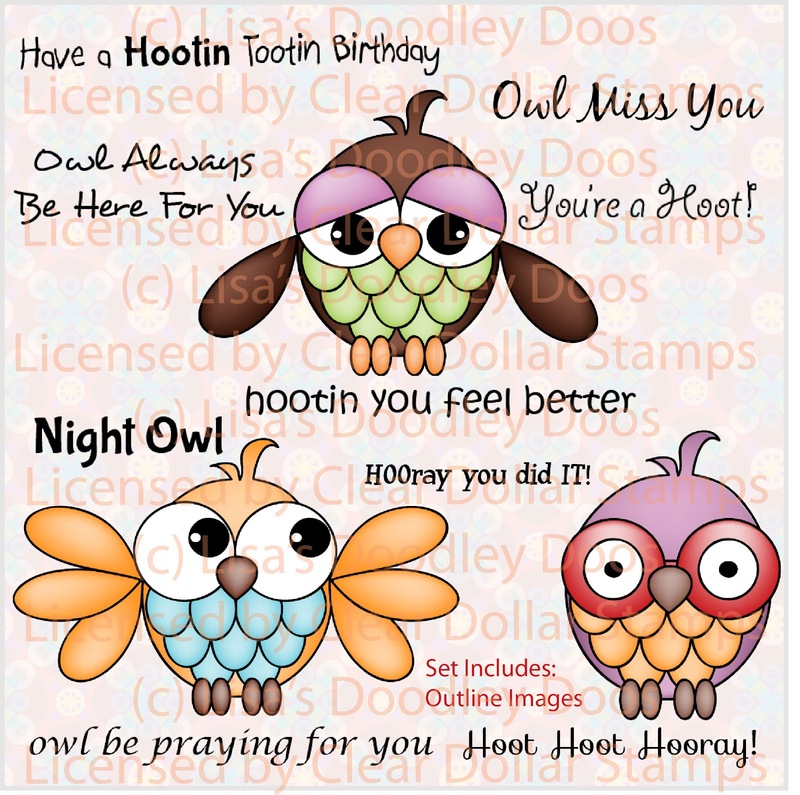 The owls are ADORABLE!!! Soooooo cute and everyone was so creative.